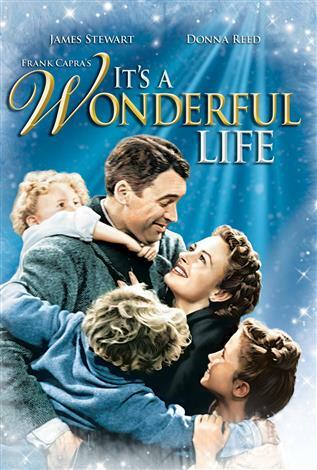 George Bailey is a small-town man whose life seems so desperate he contemplates suicide. He had always wanted to leave Bedford Falls to see the world, but circumstances and his own good heart have led him to stay. He sacrificed his education for his brother's, kept the family-run savings and loan afloat, protected the town from the avarice of the greedy banker Mr. Potter, and married his childhood sweetheart. As he prepares to jump from a bridge, his guardian angel intercedes, showing him what life would have become for the residents of Bedford Falls if he had never lived.